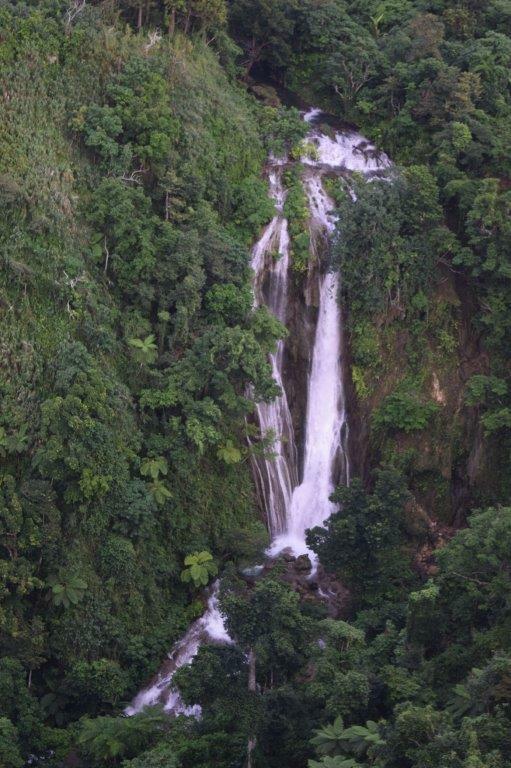 The Famous Cascade Waterfall is a site to behold, a beautiful spring fed water falls nestled in a deep jungle clad ravine. Departing from the Seawall next to the craft market in Port Vila, your experience begins with a quick 2 minute ride in our glass bottom boat to a floating heli-pontoon in the harbour. On takeoff you will immediately be able to capture the incredible beauty of the Island, reef and stunning township of Port Vila. The helicopter will orbit the falls and you will see people swimming in the pools below surrounded by the jungle. We then return to the pontoon via Hideaway Island Resort, a dive mecca and site of the world famous underwater post office. On return, capture great views of Port Vila, Iririki Island Resort and Ifira Island as we come in to land to complete this exciting adventure flight.